Now you can just say "NO!" to drugs...and get high anyway! Patrick Wells and Douglas Rushkoff explain how in Stoned Free, their groundbreaking treatise that is essential reading for those psychic explorers among us who want to avoid incarceration, save money, and skip the wear and tear on their bodies... yet still yearn to cop a buzz. Stoned Free expounds on this topic by enumerating several consciousness-altering techniques--some of which are timeless in origin, while others have been made possible by recent technological and medical advances--that the ordinary citizen can employ to attain states of awareness which trancend reality as it is normally perceived... in other words, How to Get High Without Drugs! -- Meditation -- Breathing techniques -- Musical and dance regimens -- Deprivation methods -- Physical therapies -- Visualizations -- Consciousness-raising programs -- High tech highs -- Communing with nature -- Sleep and dream manipulations -- Concepts of synchronicity -- And much, much more! So read up, wise up, and get up... naturally! 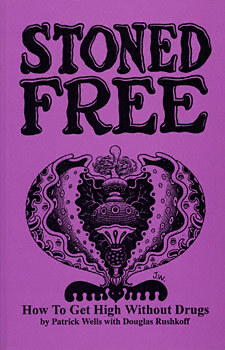 Stoned Free provides the answers for those who want to learn How To Get High Without Drugs!